It's time to take advantage of the fast growing dental and medical tourism services! Hundreds of thousands of new patients are seeking cost effective medical and dental care with first class service. Now, you can do the same! Bali dentist is ready to serve you. 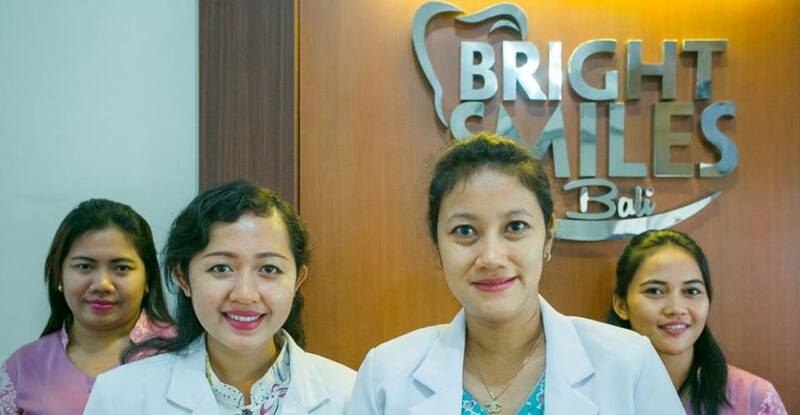 Meet the Bright Smiles Bali dentist and dental care team in Bali Island, Indonesia. They pride theirselves as one of the most friendly and professional dental clinics you'll ever visit. Their friendliness is incorporated in the service and care you will receive at Bright Smiles Bali. Their main dentist, Dr. Durra Mufida and their dental care team make sure that they always provide the best service by constantly enhancing their skills. With years of experience under their belt, rest assured that you'll receive top notch dental care. Their high quality service comes from modern dental training, techniques and top quality materials, all to ensure that you'll receive hight quality results with friendly prices. Come and visit Bright Smiles Bali, your Bali dental care clinic with great quality.